MSI is a professional services organization dedicated to helping companies design and implement human capital strategies that enable their global growth initiatives. MSI launches new website to showcase its global human capital advisory business. 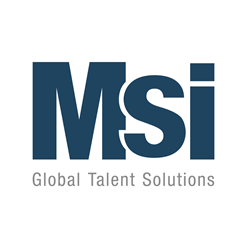 MSI Global Talent Solutions offers a continuum of corporate strategy advisory, consulting, and design solutions, along with a complete line of managed business services to help companies grow, compete, and globalize. Today’s fast paced global business environment presents a new realm of human capital, talent, and organizational priorities. MSI’s human capital services address these by utilizing a proven approach to helping companies design and execute critical programs that allow corporate CHROs to innovate business-driven talent, global leadership, and change management programs worldwide. As a leader in global human capital advisory, MSI provides a range of end-to-end strategic and managed services to help multinational companies solve today’s HR and talent issues while preparing for the challenges of tomorrow. With the release of our new website, we’ve made it easier to learn more about these services. The site includes faster and better navigation and a library of current and timely information that we make available to our clients and prospects. Every new feature was designed to engage with clients and prospects in the simplest and most effective way possible. Transformative human capital solutions, consisting of knowledge, experience, and a proven methodology, is what MSI delivers to help global companies create and achieve winning strategies, and propel their businesses forward. MSI’s capabilities are widely recognized; in 2017 we were named the Top Company in HRO Today Magazine’s Baker’s Dozen – Relocation.